It uses traffic light colour coding but it's only a rough indication - you have to make your own decision on whether it is safe to pass or not. 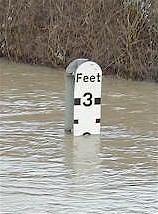 A Typical Example of the River Level Indicator taken from the Environment Agency website. 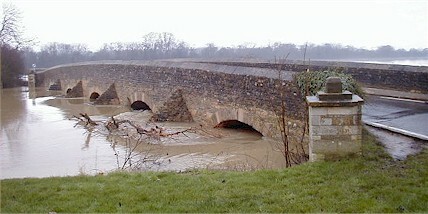 Both Felmersham and Radwell flood regularly. 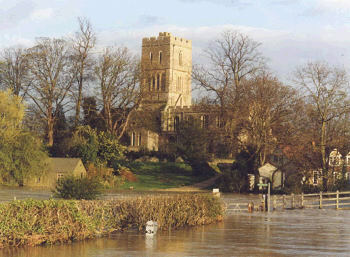 At these times there is no access to the parish from the north or from the south. 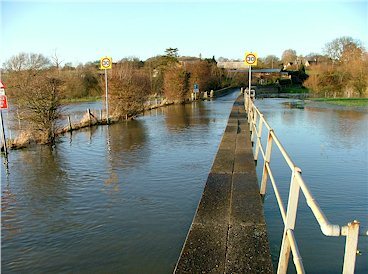 To avoid the floods when approaching from Bedford take the second exit on the A6 Clapham bypass marked Oakley/Pavenham and follow the signs to Pavenham. In Pavenham turn right at the road junction for Felmersham. 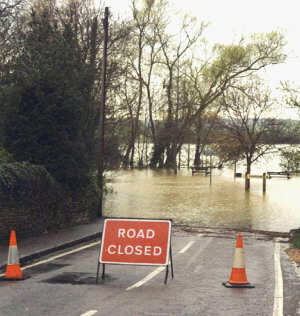 If approaching on the A6 from the north, ignore all the Felmersham and Radwell road signs on the A6. Continue to head south passing through Milton Ernest. Leave the A6 at the slip road immediately prior to joining the dual carriageway of the Clapham bypass. The slip road is signposted Oakley/Clapham/Pavenham. At the mini roundabout on the top of the hill turn right and follow the Oakley and Pavenham signs. In Pavenham turn right at the road junction for Felmersham. 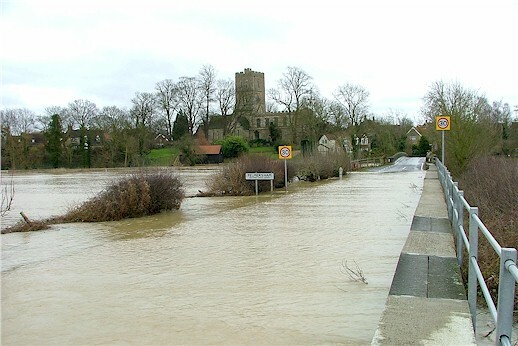 If visiting from the west take the Turvey - Carlton - Felmersham road and not the Harold - Odell road. 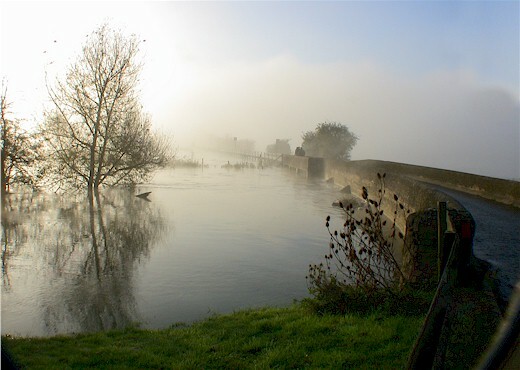 Taken from Felmersham Bridge. 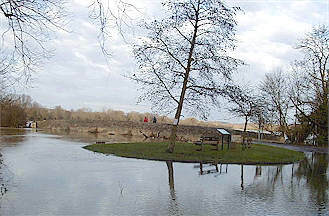 The raised footpath is on the left. 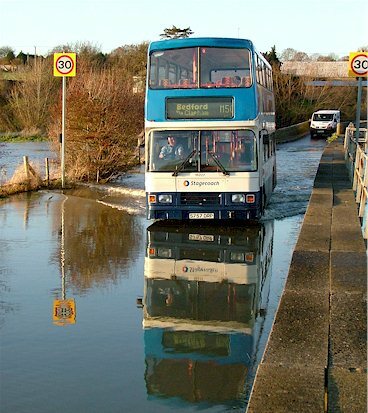 The M50 service bus enters the floods at Radwell. 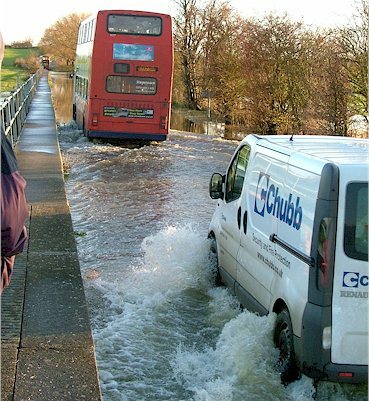 School buses and a van passing through the floods. 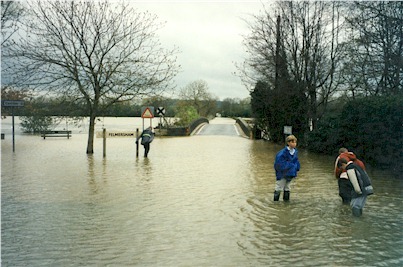 Felmersham Floods - Easter Holidays 1998 - highest level within recent memory. 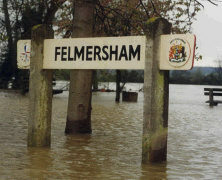 The raised path at Felmersham is completely covered with water. of the picture. 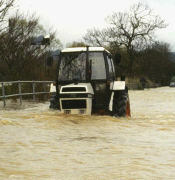 The Jubilee lawn was completely covered with flood water.